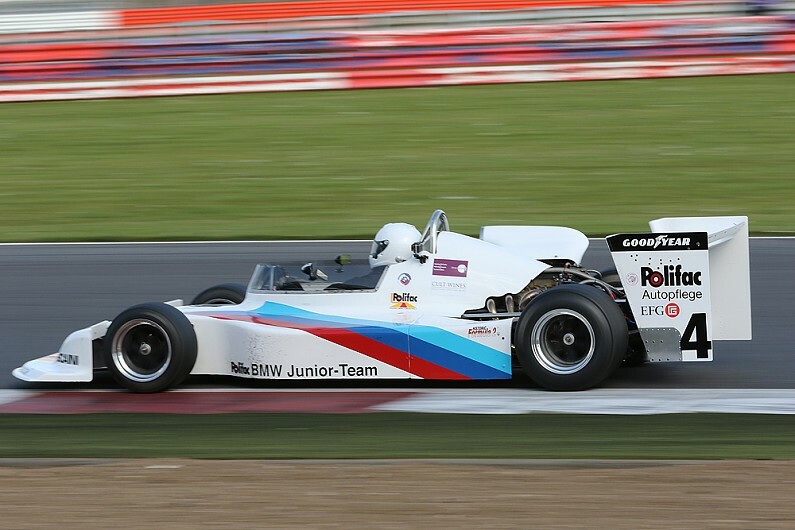 Period Formula 2 cars will return to race on the Silverstone Grand Prix circuit this weekend, 34 years after Mike Thackwell’s Ralt Honda RH6 triumph at the British GP venue. The spectacle of at least 25 period F2 cars from the late 1960s and ’70s on the Grand Prix layout will mark rounds five and six of the Historic Sports Car Club’s Historic Formula 2 FIA International Series. These will take place at this weekend’s HSCC International Trophy meeting on 16/17 June. Towards the end of the F2 era, which ended in 1984, the International Trophy was regularly a round of the European Formula 2 Championship. The F2 story at Silverstone started back in 1952, when Lance Macklin won the Daily Express International Trophy race in a HWM. In the late 1970s and early ’80s, the annual International Trophy race was run for the later-period F2 cars and winners included Rene Arnoux, Eddie Cheever, Thackwell, Stefan Bellof and Beppe Gabbiani. The Historic F2 Championship is open to cars built to period regulations for F2, Formula Atlantic and Formula B, from 1967 through to the end of ’78. The Silverstone entry is headed by Robert Simac in his ex-Jean-Pierre Jaussaud March 712M as he bids for a sixth straight championship title. Simac will likely head the Jochen Rindt class for the 1600cc F2 cars, but the driver they will all have to beat is series benchmark Richard Evans in his March 742. Famous cars are expected to be packed into the field, including the ex-Eddie Cheever Ralt RT1 of Steve Seaman, the Lincoln Small’s ex-Derek Bell Brabham BT30 and the ex-Richard Morgan/Wheatcroft Racing Chevron B29 of Paul Tonkin. A three-car Australian contingent is headed by the rare wing-less Elfin of Stephen Weller.